The imperial helmet is a broad classification applied to the helmet that was considered by many to be the quintessential Roman galea (or helmet). The imperial Gallic H Centurion Helmet is a replica of a historical helm found on an archaeological dig. Like the typical Roman galea, this helmet features a rounded cap and open sides, which allow the warriors ears to remain uncovered. The back features a sloping neck guard, while the front features hinged facial protectors. A small visor adorns the forehead of the helmet. The helmet is made from quality metals and features an attractive polished metal appearance adorned with elegant wave patterns along the top of the helm. 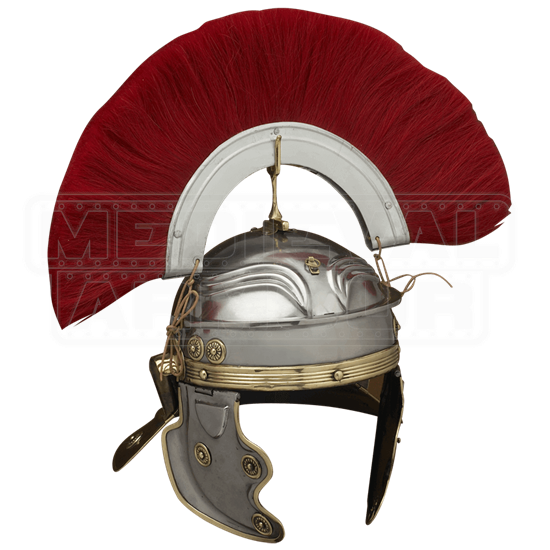 A transverse plume adorns the top of the helm, featuring a vibrant red color signifying a soldier of the centurion rank. 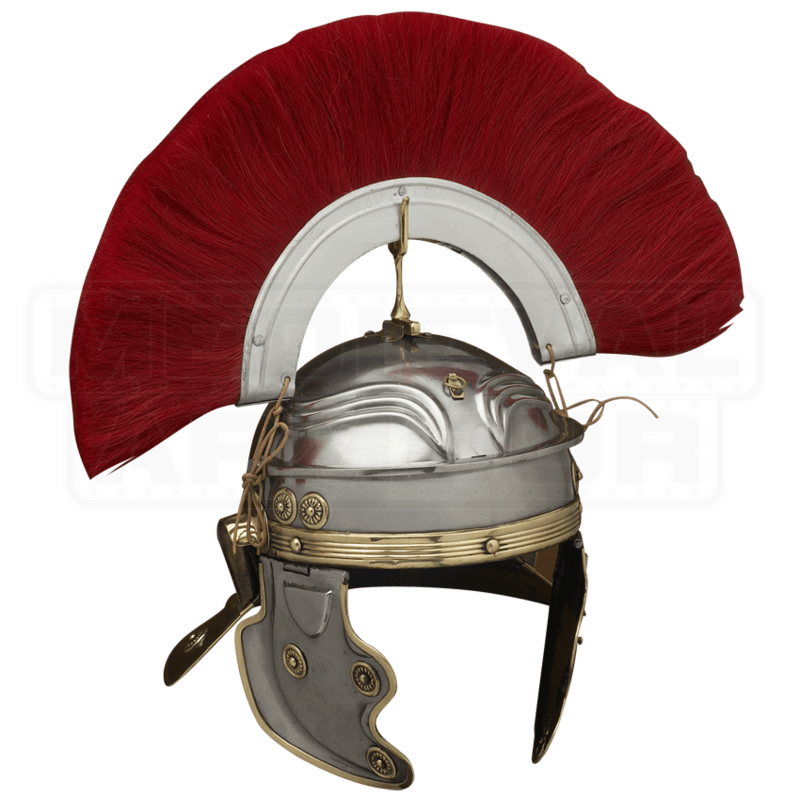 The Gallic H Centurion Helmet is not only a great example of a classic Roman helmet, but it also happens to be a replica of an actual historical artifact, which makes it an excellent helmet for re-enactors to use, as well as a great piece to add to any enthusiasts collection.